Phones4U has announced that it will be the first mobile retailer to offer the Samsung Galaxy S2. The dual-core handset will hit Phones4U stores and online on 27 April, giving the retailer an exclusive headstart in selling the much-lauded handset. If you're itching to get your mitts on the Samsung Galaxy S2 you can pre-order it on the Phones4U website now, and bag yourself a free 8GB memory card while you're at it. Russell Braterman, Marketing Director at Phones 4U is pretty excited, saying, "With its super-slim good looks and the latest Android 2.3 operating system, the Samsung Galaxy S2 is the next step in the evolution of mobile. 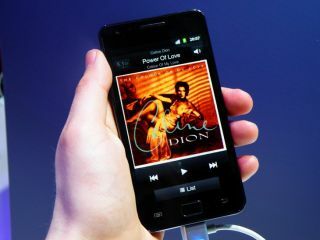 "We're really proud to be the first retailer to offer the Samsung Galaxy S2 to our customers. The original Samsung Galaxy S was hugely popular when it launched last year, and we're confident the Galaxy S II will be just as successful as its predecessor." Phones 4U has also revealed its Samsung Galaxy S2 UK pricing: it's available for free on a £35/month contract with a choice of networks, or on pay as you go for £499.